President Muhammadu Buhari Sunday in Addis Ababa described corruption as one of the greatest evils of our time. 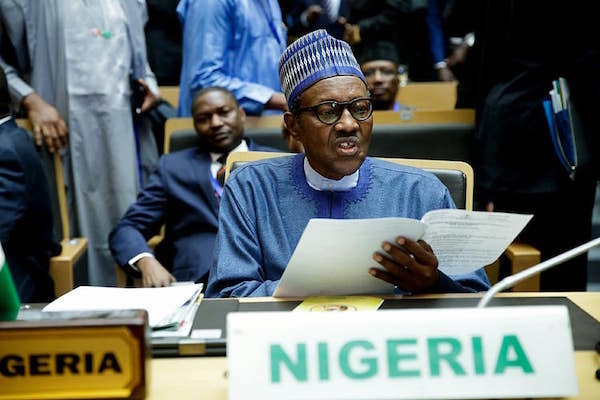 Being the Champion of the theme of the 30th AU Summit, namely, “Winning the Fight against Corruption: A Sustainable Path to Africa’s Transformation,” President Buhari thanked his African colleagues for entrusting him with such a noble responsibility. The President, who noted that Africa has made some significant strides in enacting legal and policy frameworks such as the African Union Convention on Preventing and Combating Corruption (AUCPCC) to address the vice, said the desired impact had been lacking. “Strong institutions are a necessary condition in any society which aims to fight corruption. In building strong national and regional institutions, we must adequately empower our national anti-corruption agencies and insulate them from political influence. We have to encourage increased institutional collaboration between Law Enforcement Agencies and anti-corruption Agencies in order to win this fight.” he stated.